I have now seen every film in the Disney Animated Canon, as defined by Wikipedia. In my estimation, there are three elements that must converge to create a great Disney animated feature: Story, music, and – of course – animation. Here’s a brief look at each film, qualified by those elements (out of 5), along with a quick blurb on my thoughts. Although the film probably works most effectively as a historical document, it still has its fair share of harrowing and magical moments. I think we’ve got enough distance now that we can safely say Snow White’s incredible animation will never age. With this, Walt Disney Productions applied its technical prowess to a morally complex and very human story, filled that story with memorable characters, and wrapped all of that in tremendous scoring and songwriting. Taken as a very expensive and risky experimental film, Fantasia has to be commended for its accessibility. The Rite of Spring is probably my favorite segment. 1940 has to be considered the defining year for the Disney studio’s entire history. This comparitively quick project helped keep Disney stable going into the turbulent 1940s. Despite Dumbo having the weakest story of the studio’s early features, it’s still an overwhelmingly emotional and incredibly animated classic. An endlessly gorgeous movie, Bambi stands as a masterpiece by sheer craft alone. It wears a meandering, seasonal story structure on its sleeve, using a loose framework to communicate the wonders of nature in lush color and with harsh truth. This was nearly as risky an experiment as Fantasia or Snow White. I’ll be honest, I have a hard time looking at the wartime anthology features in the proper context, but I will try. This might be my least favorite of them all, despite showcasing a lot of cleverness and wonderful animation. Really, the film’s inclusion of live action materials is a real showcase of the studio’s weakness at the time. That said, the presence of Donald Duck and Goofy does a lot to win me over. Here, the framing device of Donald’s birthday helps to tie together the disparate pieces of now-transparent South American relationship-building. The film’s surreal final segment alone legitimizes the entire movie. This is my favorite of the wartime package films, and only marginally because it picks an abstract theme (“music”, duh) and runs with it. In truth, I love this movie for its shorts, some of which are high in the running for the Disney Studio’s all-time best: The Whale Who Wanted to Sing at the Met, Casey at the Bat, All the Cats Join In, Peter and the Wolf, and the amazing After You’ve Gone are all absolutely wonderful. Here, the shorts are a little more inflated, with two of them (Bongo and Mickey & The Beanstalk) having been developed as features initially. This gives the movie a slower pace, but the shorts are fantastic on their own. As a bonus, we get the great Jiminy Cricket as the lead in our frame narrative. Here we have the benefit of a wonderful opening song. This anthology film is also blessed with a good set of shorter shorts than Fun & Fancy Free. 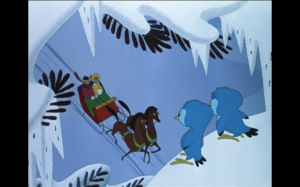 Trees is one of the all time masterpieces of Disney animation, and Once Upon a Wintertime is a Christmas classic. Trivia: This was, before Wreck-It Ralph, the very last Disney animated movie I saw. The movie had evaded me during childhood, so my wife and I picked up the blu ray a few weeks ago, and despite being initially resistent, I have to admit the movie is really wondrful and captivating. Much of its success is because of the music. By this time, the studio had given up the gorgeous watercolor hues of its early years, but despite a slight tinge of production mentality, the movie rightfully saved the studio. Walt Disney had dreamed of exploring this world ever since the first “Alice comedy” shorts in 1923. I can fully understand why this has become a classic, but its purposely erratic pace detracts from its great animation and design. Any problems I have with Disney’s fantastic adaptation of Peter Pan are probably more attributable to the book itself, the main thrust of which I’ve always found a bit unpleasant. In fact, when it comes to digestible versions of this story, I might prefer PJ Hogan’s 2003 film. Whatever the case, the animation and design here are amazing, and Captain Hook remains one of the great Disney villains. Here we might have one of the studio’s most resilient and beloved classics. 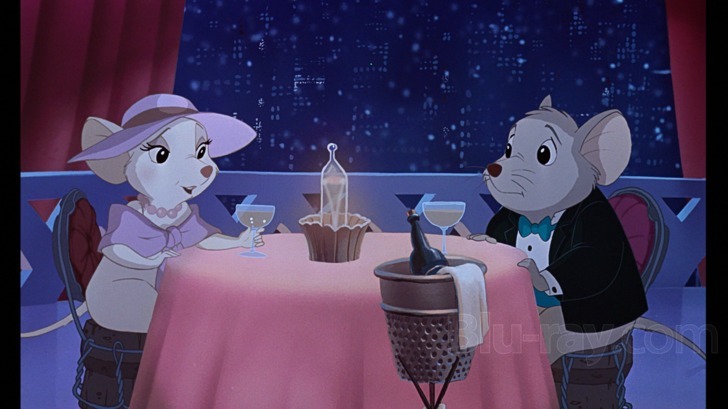 The first animated feature created in CinemaScope is also my favorite of Disney’s love stories. It’s the ultimate film for us dog people, and speaks on deeper levels about classism and personal sacrifice. All of the goodwill established by Cinderella’s success was crushed by the high cost and low box office returns of this film. Despite its tragic outcome, it stands as one of Disney’s crowning achievements. Filmed in 70mm, with truly high stakes and a self-referential subversion, the movie excels throughout. It has one of the all time great romantic songs (“Once Upon a Dream”), and features a well-drawn prince character for once, something we wouldn’t see again until Beauty & The Beast. The animation is great throughout, but especially excels in the film’s terrifying and intense finale. Here’s another example of an immensely popular piece bailing out the studio after artistic indulgence. This was a childhood favorite of mine, thanks to a Summer 1991 theatrical re-release. The film excels, making good use of a minimalist animation style, and cranking up the tension in the film’s final act. 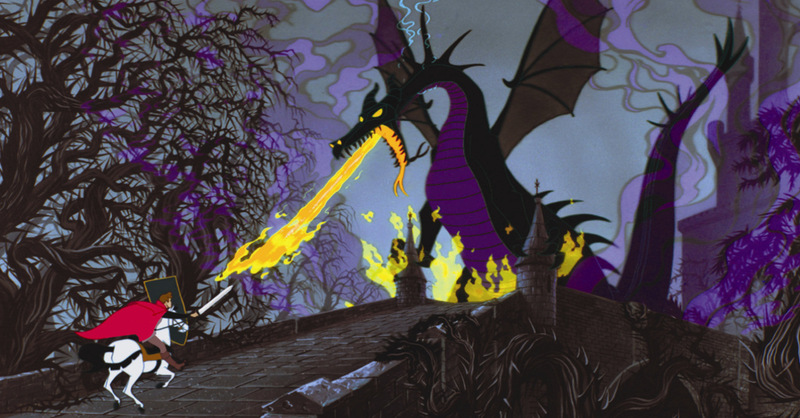 Of all the films in the Disney Animated Feature canon, The Sword in the Stone might be the one I’ve seen most often. It’s also one of the most underrated films in the studio’s history. True to 1960s form, this is an amorphous, episodic parable about self-reliance, education, and progressive thinking. Featuring some of the best animation of the Reitherman years, some truly memorable songs, and at least one legitimately heart-breaking moment (squirrel girl! ), The Sword in the Stone is a film I still love to revisit. Up until 1989 or so, when Tim Burton’s Batman took the top spot, The Jungle Book was my favorite movie. This was exacerbated by my TaleSpin fandom, as well as endless replays of Louie Prima’s “I Wanna Be Like You” from a sing-along cassette. It hurts me to admit that I have a hard time sticking with the story of The Jungle Book in adulthood (Mowgli has none of the quirk of Sword in the Stone’s hero, Wart), but the animation, music, and wonderfully menacing build-up to Shere Khan’s introduction keeps me engaged. I did not get to see The Aristocats until just a few years ago. It’s one of my wife’s childhood favorites, so it was fun for me to finally catch up with it on her – assumedly – 174th viewing. This is an oft-disparaged feature, the first to be produced entirely in a post-Walt studio. For some, The Aristocats marks the beginning of the Walt Disney Studio’s darkest days, but I hardly find it harmful in any way. It’s a bubbly, jazzy trifle, and has none of the hollow cynicism that a few of the Animated Features would stoop to in coming years. Wolfgang Reitherman is credited as director on every Disney Animated Feature from 1961 until 1977. Of those seven films, the last four were produced without any involvement from Walt Disney. It’s astounding to me that Robin Hood is the second in that sequence; In recent years it seems to have garnered a bit of a revival. Perhaps its infectious charm made a bigger mark on the children of the VHS generation than it did the children of the early 1970s. Great songs, hilarious characters, and a rip-roaring, intense climax all add up to an animated classic that transcends its medium: There are more than a few folks that would rank this right up alongside the Curtiz/Flynn 1939 classic as one of the great Robin Hood film adaptations. I suppose that some people are just Pooh fans and some people aren’t. While I loved the “New Adventures of Winnie the Pooh” cartoon as a kid, I suppose the sardonic nature Calvin & Hobbes tainted my perspective, considering the highly similar set-up. I have little attachment to Pooh and friends, although the A.A. Milne material has resulted in some solid animated features. More on that later. The studio’s heart was in the right place with this adventure story, which eventually does go to some very tense places, but unfortunately, the character work and animation here just don’t stick with me. I finally caught up with this somewhat beloved Disney feature a few weeks ago. Although it does have a suitably thrilling climax, and it does have plenty of inherent emotion, the film just plain did not work for me. The music is borderline awful, the story is clearly a patchwork of cliches and literary sources, and the voicework is confusing. Kurt Russell was at a great place to do the voice of Todd, but why in the world was Mickey Rooney cast as Copper? Here we have what the Disney studio itself would probably consider its low point. I disagree. While the editing of The Black Cauldron certainly suggests test audience meddling (and certainly the same by powerful producer Jeffrey Katzenberg), the animation excels here, offering several animated sequences that match the power of key scenes in The Secret of NIMH (arguably the best animated feature of the 1980s, made well outside the Disney order). In addition, an essential emotional element of the movie worked extremely well for me: The arc of Gurgi, a cowardly-yet-heroic figure that somehow reminded me an awful lot of my dog. Subjective praise, to be sure, but the film struck a chord. Walt Disney Feature Animation’s worst was yet to come. This might have been one of the first movies I ever saw in a theater, and if it was, it would have been in a German kino when I was no older than 3. Revisiting it recently, it’s a fun yarn with plenty of enjoyable references to Sherlock Holmes. A fine placeholder while the studio figured out its next steps. Functioning simoltaneously as a summary of all the things that were wrong with the studio in the decade before, as well as a preview of the greatness that was right on the horizon, Oliver and Company is a tragically misshapen creature. The Dodger character, the setting, and the film’s extremely catchy pop songs are all infectious, but you can almost tangibly feel the animators losing control of the project in the film’s third act. Many sequences here feel unfinished, but perhaps it was only fair for the studio to cut its losses and get this film into the market… after all, there were big things ahead that demanded a lot of attention. For Walt Disney Feature Animation, the 1990s started in 1989. The Little Mermaid has a well deserved status as a classic film. It boasts the best music of quite possibly any Disney film, and despite losing some steam in its second act, works very well as a high stakes romance. Here we have one of the most underrated of all the Disney Animated Features. Not only does The Rescuers Down Under improve on the story of its predecessor, but it takes things to another level in terms of stakes, score, character, and especially, animation. 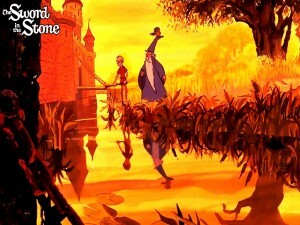 The first film to use the CAPS system of digital coloring, its subject matter serves the technology well, showing off wonderfully lush environments. It’s no wonder that the Studio was finally awarded a Best Picture nomination for this wonderfully constructed, simple, and gorgeously animated romance. Free of anachronisms and showing off some of the absolute best uses of comedy relief in any Disney film, Beauty and the Beast holds up very well, and will continue to for many decades. Despite Robin Williams’ mugging performance, it’s hard not to attribute much of this film’s success to his legendary work as the film’s Genie. Aladdin is full of absolutely stunning animation, great songs, and likeable hero characters… it is only in its lack of unity that it suffers. Undoubtedly, the high point of the 90’s Renaissance. It’s hard to deny the film’s greatness, from the music to the voice casting to the animation. There’s little left to say. Despite showing off some absolutely gorgoues animation, this is where the Studio started showing its limitations. It’s hard not to read a certain measure of revisionism and insensitivity into such a sanitized and polished take on a much more violent and raw time in American history, but once you accept that fact, the film works fairly well, and sounds great. Pocahontas features some of the catchiest songs of any of the 90’s Renaissance works. What a strange direction for the studio to take. Victor Hugo’s gothic tale of grotesque Catholic guilt is literally one of the last classic novels that I could imagine being turned into an animated musical. That said, the film works surprisingly well, but the adaptation process does suffer. Points for audacity, though. Hercules is a film that I thought I loved before I ever even saw it: The songs are absolutely inspired, mid-20th Century takes on classic Greek story beats. Essentially every musical number hits nicely, and James Woods’ Hades is a wonderfully acerbic villain, but in the end, the movie doesn’t quite work. It attempts to mix its typical hero’s journey with an ill-fitting jokey tone, coming off as a complete stitchjob rather than the stylistic romp it could have been. Another solid entry in the 1990’s era, Mulan shows off solid songs, a subversive plot, a great setting, and creatively simplified animation… And yet, as usual, its reliance on anachronistic comedy relief threatens to sink the whole affair. Thankfully, its strengths outweigh its negatives. This movie has no business being as good as it is. This is not the traditional Edgar Rice Burroughs Tarzan story, but aside from the annoying Rosie O’Donnell ape, the anthromoporphic element gives the story an interesting and natural familial angle. In addition to stunning and exhilirating animation, Mark Mancina and Phil Collins’ percussive score brings the entire affair to a higher level of achievement. An impressive return to the early Walt Disney dream, it’s a shame that the Studio doesn’t seem to have any plans to make another entry in the Fantasia series. This Fall’s short film Paperman would fit perfectly into another musically driven anthology feature, and it’s a natural way to groom talented animators and directors into future feature filmmakers. While this iteration doesn’t match the original’s timeless grandeur, it is still a technical and artistic marvel. 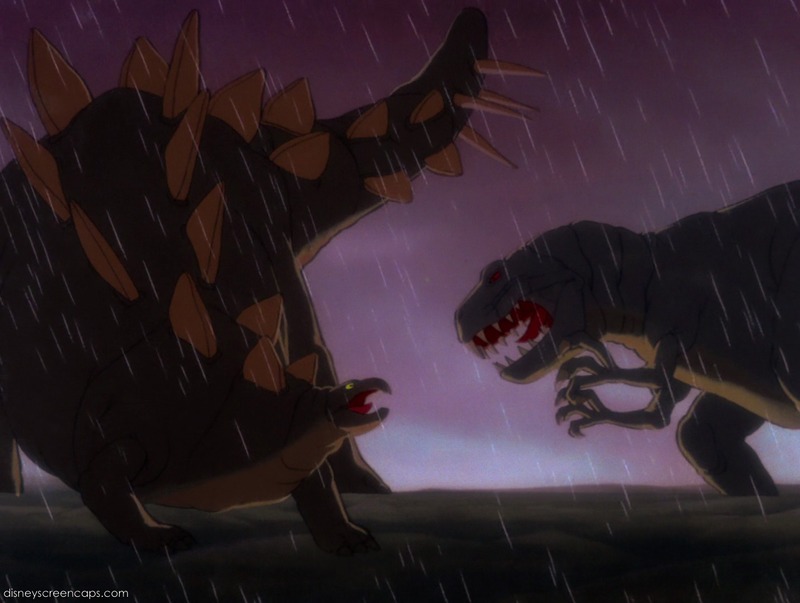 Here’s quite possibly the best example of the quagmire that Walt Disney Feature Animation has been in since The Lion King: Instead of letting the extremely strong concept of Dinosaur (a CG-animated, fictional nature documentary about the Cretaceous period) lead the project, the Studio got spooked and added voice actors, a cliched plot, and awful comic relief. There are glimmers of hope in here, but it’s mostly a sad missed opportunity. The Emporer’s New Groove is a fine entry in the canon that does manage to follow through with a strong concept: A sarcastic, screwball take on a regionally specific fable. The movie does have quirks and modern touches here that do bug me, but that comes down to a matter of personal taste. After Tarzan, Atlantis seems to have been an early attempt at the Studio going for the pre-adolescent boy market, by using animation to simulate action blockbusters of the 1990s. Alas, it’s hard to compete with the Michael Bays and Stephen Sommerses, and eventually, Jerry Bruckheimer came along and took care of that market with the Pirates of the Caribbean franchise. Atlantis: The Lost Empire means well, but it doesn’t really deliver. I hadn’t seen Lilo & Stitch until recently, and I was surprised at its very existence. It would have been ludicrous to imagine that, in the waning Eisner years, a nearly entirely original concept could be successfully developed into an honest look at childhood behavioral disorders, but here we are. 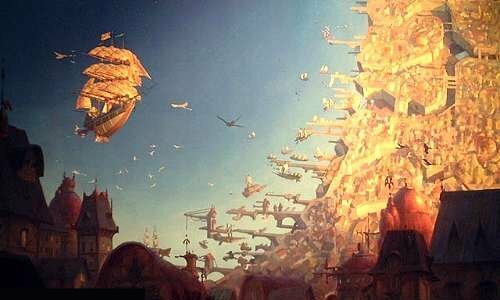 Despite its similarities to Atlantis, Treasure Planet is an underrated adventure from one of Disney feature animation’s darkest hours. 2002 showed a glimmer of hope for the studio’s output, where two great premises overcame badly placed comedic relief and desperate attempts at youth appeal to become satisfying and fun movies. It feels wrong to pick on Brother Bear, a wonderfully animated and sincere film. However, it undoubtedly falls into cliche in almost every single area, and is accordingly remembered as underwhelming. This and the next film in the canon are both victims of the Disney doldrums, rather than perpetrators. Despite its status as the nail in the coffin for Disney’s traditional animation department, this movie is better than expected, largely because of its very digestible and vibrant visuals. Is there a better example of the ugly side of 3D feature animation? Erratic design, irritating characters and unforgivable pop culture references destroy a potentially fun premise. Although it does, oddly, have a reputation as a flat, bad film, Meet the Robinsons is actually a refreshing, focused, and original ride. Its wide and very fun cast of characters inhabit a colorful world that is the closest we’ve come to seeing Tomorrowland on screen. It wasn’t until 2008 that Walt Disney Feature Animation really felt like a major player in computer animated films, attaining the same level as Pixar, Dreamworks, and Fox. This is a solid film, with an awesome opening sequence. It suffers from the standard cliches of animated films, as well as stunt voice casting in the form of Miley Cyrus and John Travolta. It’s very hard to resist praising this film for its very existence, but the status of The Princess and the Frog as a return to traditional animation after a five year abandonment does do it a lot of favors. This is a fine, standard entry into the post-1980s animated princess film. Although I do prefer my Disney animation to be at least somewhat hand drawn, it’s hard to argue with their CG approach if it yeilds results like these. Not only is Tangled a successfully subversive take on the fairy tale princess, it’s also gorgeous to look at, fun to listen to, and legitimately funny. A high point in recent years. Another rare sequel in the Animated canon, this a bigger success than its 1977 predecessor. Winnie the Pooh gives the feeling of a second chance: After the episodic anthology collection that was the first film, here was a chance to return to the original essence of the A.A. Milne adaptation without being tethered to the many various iterations of the “Pooh” brand since the 1970s. It’s a fun, breezy, silly good time with sumptuous, yet wisely economic animation. Unfortunately, the newest film in the Disney Animated Feature canon (as of 12/4/2012) sits very high on my list of most disappointing films of 2012. 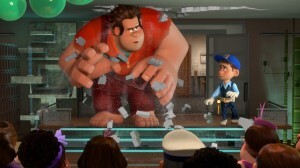 Despite an amazing premise and a great role model in the form of Pixar, Wreck It Ralph suffers under an affinity for crass and irritating characters and a strangely convoluted and limiting story. Highlights: a fun Henry Jackman score, its opening 20 minutes of set-up, and a fine vocal performance by John C. Reilly. Wow. The Disney Feature Animation branch is back on top, and all it took was a little music. If you can get a handful of songs from a Disney Princess movie stuck in the head of a 30-year-old man, you’ve done something right. All the elements of a quality Disney movie come together in Frozen, thanks to Composer Christophe Beck, Lyricists Kristen Anderson-Lopez and Robert Lopez, Art Director Michael Giaimo, and of course Directors Jennifer Lee and Chris Buck. It’s probably no coincidence that Chris Buck co-directed the fantastic Tarzan in 1999, but it’s most certainly Jennifer Lee’s involvement in the story that gives Frozen an edge. This is a step up for the studio, and I predict it will be remembered fondly for years to come. So there you have it! My take on every single feature film in the Walt Disney Animation Studios canon. Below is my full rankings, as of December 9, 2013. Of course, no two lists are the same, especially with 52 movies, so let me know how yours differs. You can also see the list over at Letterboxd. As always, you can check out more Film Nerds goodness on our front page! Be sure to stay abreast of all the new podcasts coming out of Cinematrimony and Aspect Radio, and keep an eye on benstarkfilm.com as sporadic news about new film projects pops up there. Thanks for reading!